06.02.18… The wonderful variety of Designer Series Paper that Stampin’ Up! offers in each and every new catalog is always something I truly look forward to. 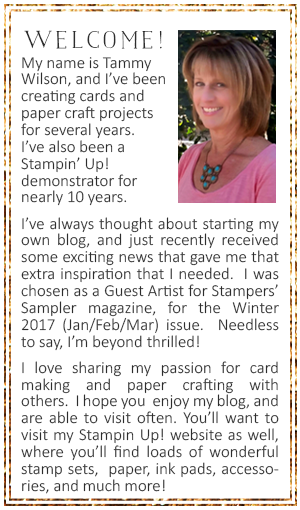 And… the new Designer Series Paper in the Stampin’ Up! 2018-2019 catalog does not disappoint! On this latest creation of mine, I paired a piece of the new Garden Impressions Designer Series Paper along with some Wood Textures Designer Series Paper. Both of this paper collections come in a handy 6″ x 6″ size, which I love! If you’d like to see all of the new Designer Series Paper collections in the new Stampin’Up! 2018-2019 catalog, you’ll want to watch this video! Using the confetti stamp from the Picture Perfect Birthday stamp set (…one of my favs! ), I used Gold Stampin’ Emboss Powder (along with a Versamark Pad) to create the background pattern (on the Wood Textures Designer Series Paper). I distressed a piece of Whisper White Cardstock, along with a piece of the Garden Impressions Designer Series Paper, and layered them together. I used one of the Stitched Shape Framelits to die cut the sentiment (also from the Picture Perfect Birthday stamp set) , which was also heat-embossed. 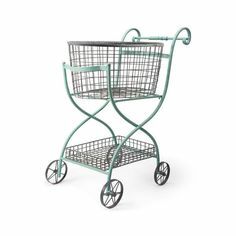 I then used an Aqua Painter along with my Flirty Flamingo Classic Stampin’ Pad to add a wash of color. A bit Crumb Cake ink was used to add some speckling as well. I tucked in some Whisper White Polka Tulle Ribbon, along with a bit of Gold Metallic Thread. Underneath, I layered a scalloped oval, which was die cut from Vellum Cardstock (using the Layering Ovals Framelits). For an extra bit of glitz and glam, I sprinkled a few Share What You Love Artisan Pearls and added a Tinted Faceted Button. Gotta make a few more of these cards so that I can “grab-n-go” next time a birthday pops up! TIP: Heat-embossing isn’t just for solid-colored cardstock. Don’t be afraid to use this fun technique on our Designer Series Paper as well. The new 2018-2019 Stampin’ Up Annual Catalog of chockful of so many wonderful products! Okay, let’s be honest….it’s absolutely overflowing with some of the most amazing products ever! Watch the video above and get your creative juices flowing!